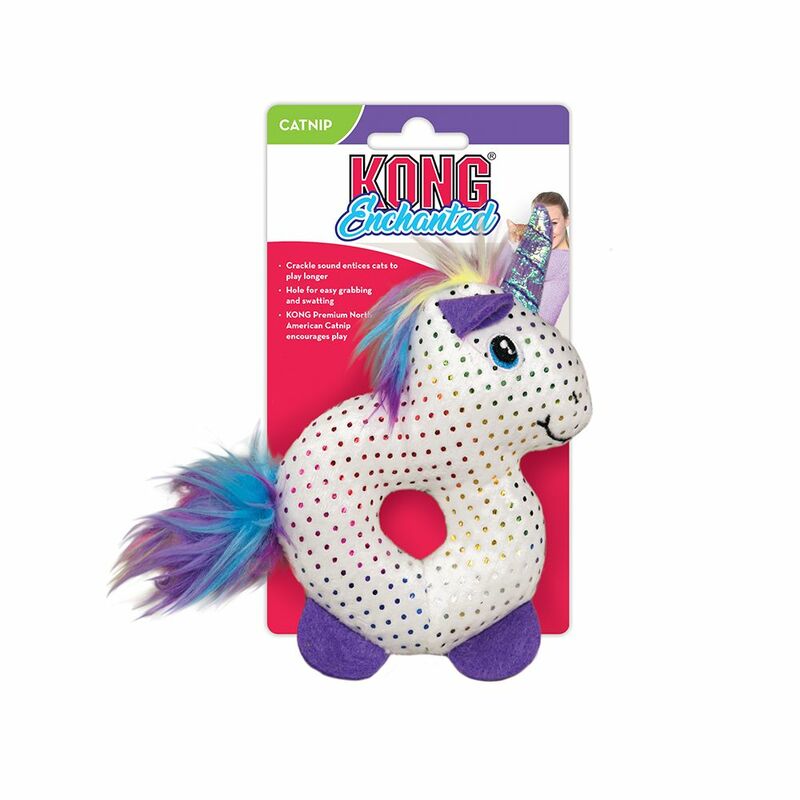 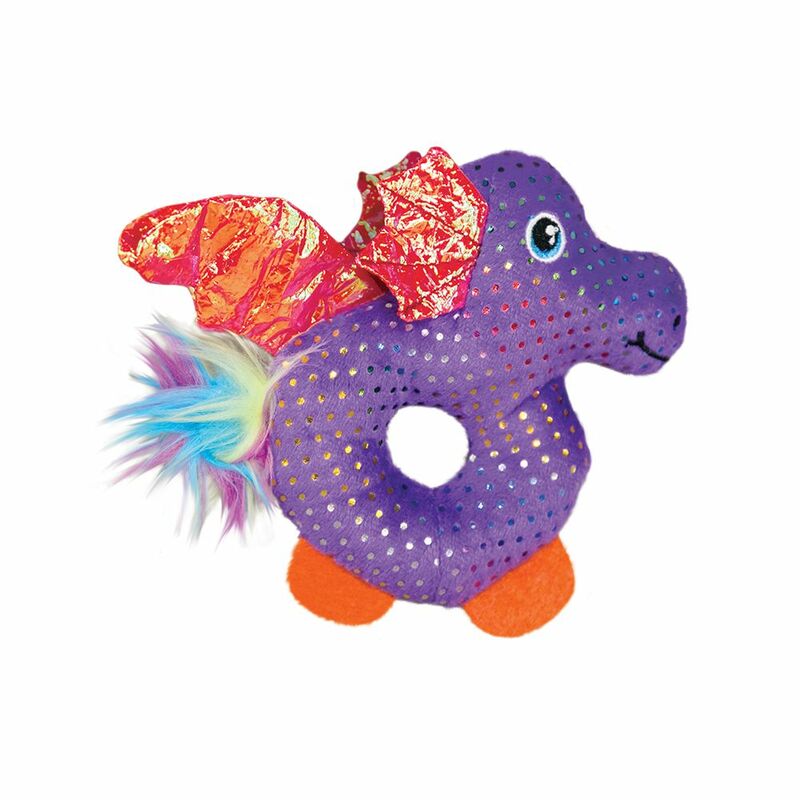 With sparkling iridescent spots and an irresistible crinkling sound KONG Enchanted casts a playful spell over your cat, luring him or her into bouts of healthy, active play to reign over magical realms of mythical creatures in a catnip-scented world. 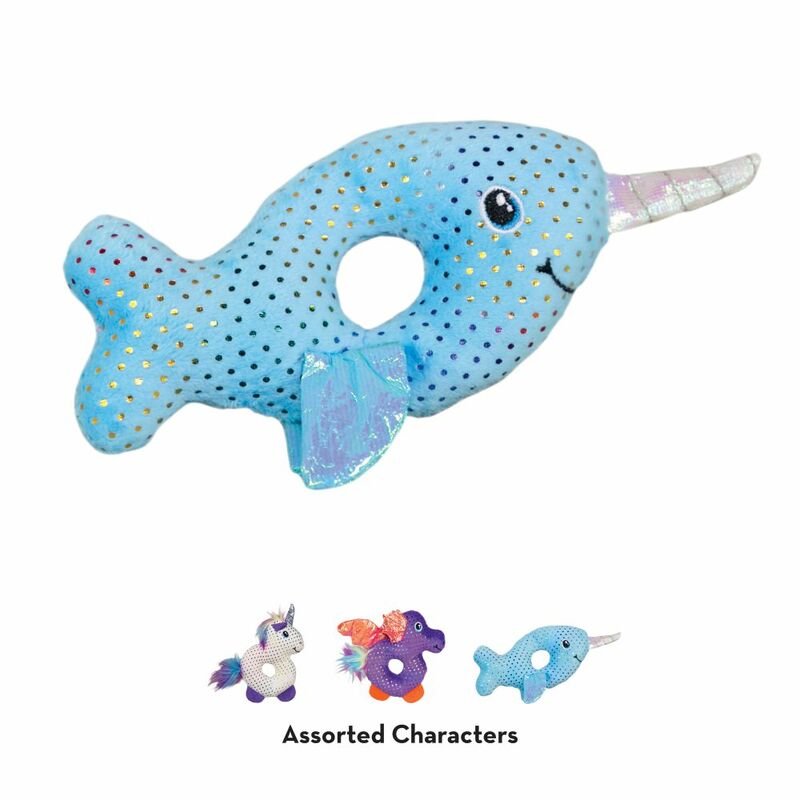 Sized for swatting with a center hole kitties can poke a paw through, it’s made for batting and chasing, satisfying your cat’s hunting instincts. 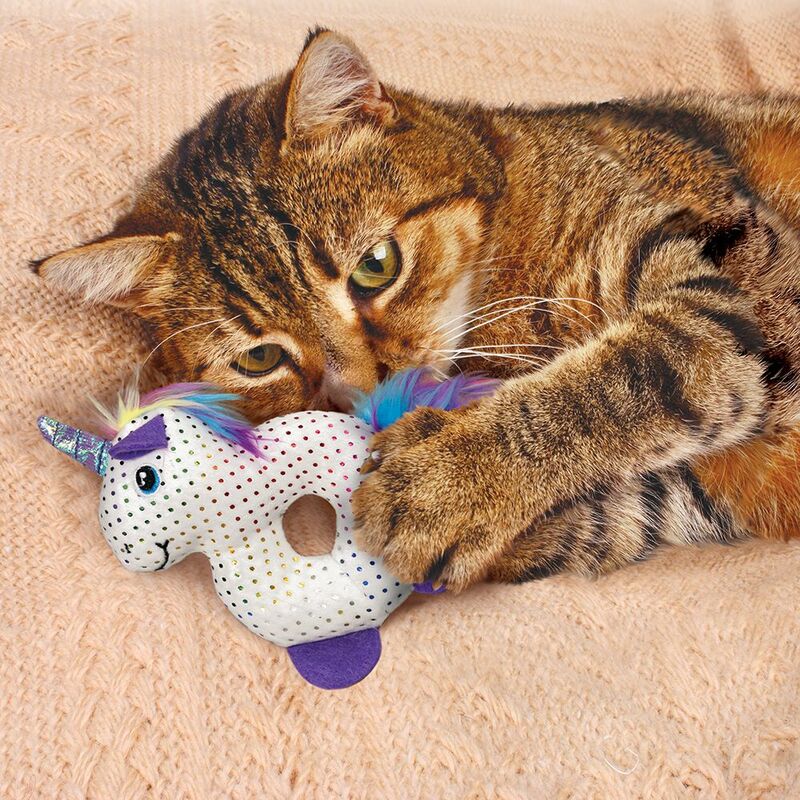 Let feline fantasies free in a swirl of glitter and catnip!